It's known that Bollywood hit director Rohit Shetty is remaking Telugu superstar Jr.NTR and Puri Jagannadh’s 2014 blockbuster Temper in Hindi. The action entertainer starred Jr.NTR as an angry young man Daya and in the Hindi version Ranveer Singh will reprise the role. Temper is considered as a landmark film in Jr.NTR's career after as string of many flops. 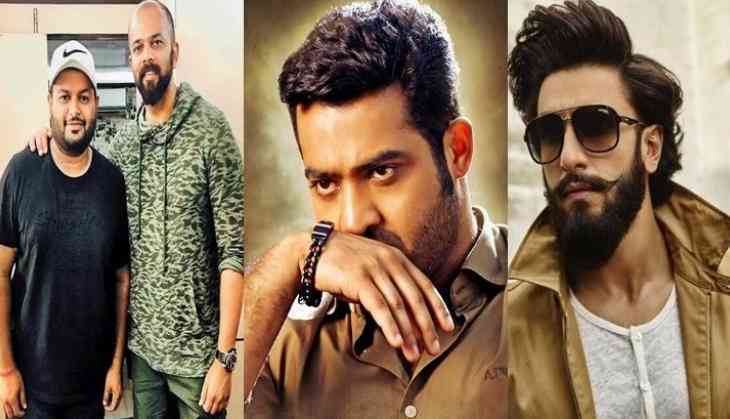 Though the names of remaining cast and crew are yet to be announced, popular Telugu music composer S Thaman has revealed that he will be composing the music of Rohit Shetty - Jr.NTR film. Interestingly, S Thaman made his Bollywood debut by composing the music of Rohit Shetty - Ajay Devgn's 2017 Diwali blockbuster Golmaal Again. The Hindi remake will go on floors in January 2018 and is scheduled to hit the screens on Diwali.